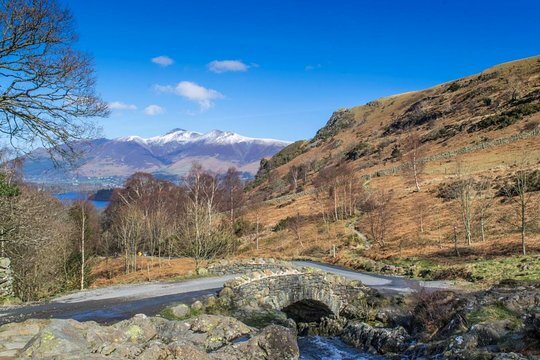 Home to some of England’s most beautiful landscapes, the UNESCO World Heritage–listed Lake District is a world of rugged fells, rolling hills, and mirror-like lakes. With onboard commentary from your guide, journey through the English countryside to explore top attractions including the Castlerigg Stone Circle and Honister Pass on foot. Take a sightseeing cruise and stroll through pretty Ambleside—with round-trip travel included. 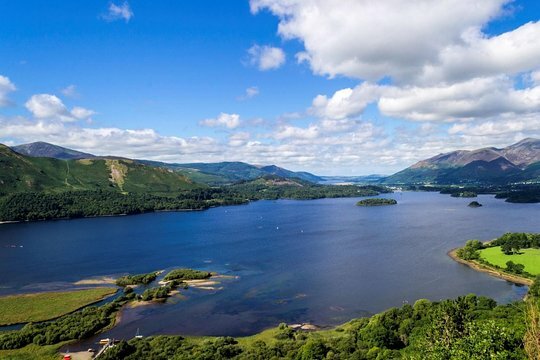 After a morning pickup in Ambleside, Bowness-on-Windermere, or Windermere, board your air-conditioned minivan and head into the UNESCO-listed Lake District. Enjoy views of rolling hillsides and rugged valleys as your guide details the region’s history and geology. Traverse Lake Windermere’s shoreline to Ambleside, where you stroll the cobbled streets at your leisure. Continue to Rydal Water, stopping for scenic photo ops, and through the Borrowdale Valley past pretty villages such as Buttermere and Grasmere. Ascend Kirkstone Pass for views over Bassenthwaite Lake and tackle the rocky slopes of Honister Pass. Throughout the day there are plenty of chances to stretch your legs and explore on foot. After lunch in Keswick (own expense), visit the Castlerigg Stone Circle and learn about the stones’ ceremonial history—dating back to 3,000 BC.Then take to the water on a scenic sightseeing cruise, admiring panoramic views over the peaks and fells. Finally, return to your departure point, where your Lake District tour ends. We went on the ten lakes tour, it was a truly fantastic tour, Carl was an amazing guide, he gave us loads of information and guidance, will definitely book with Mountain Goat again. Winter weather stops a mountain goat.